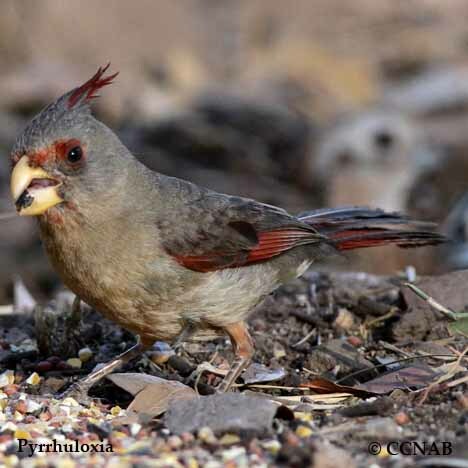 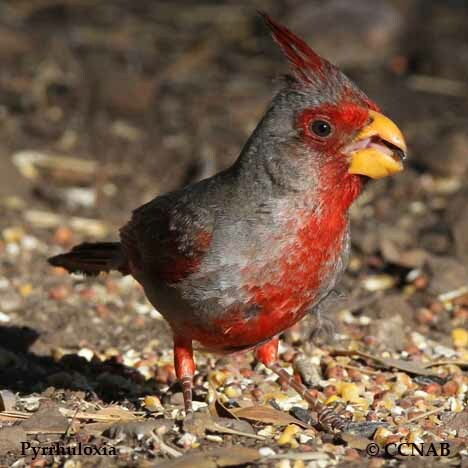 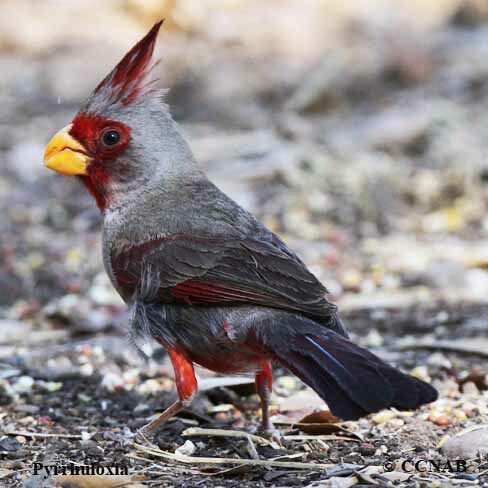 The Pyrrhuloxia is a red and grey coloured bird, identified by its large parrot looking bill, which is used especially for breaking open and eating seeds. 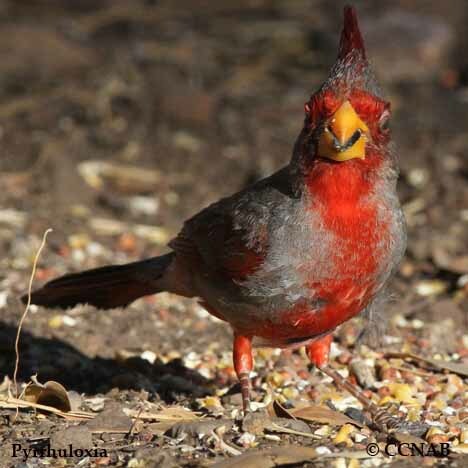 It has some similarities to the Northern Cardinal, such as a crested head and red plumage. 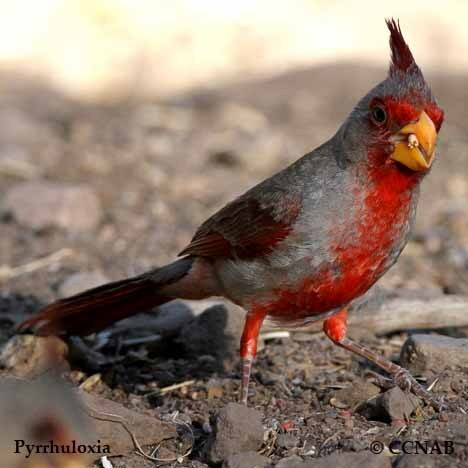 This bird is found in the arid regions of the most southern states, from California to Texas, and in Mexico.